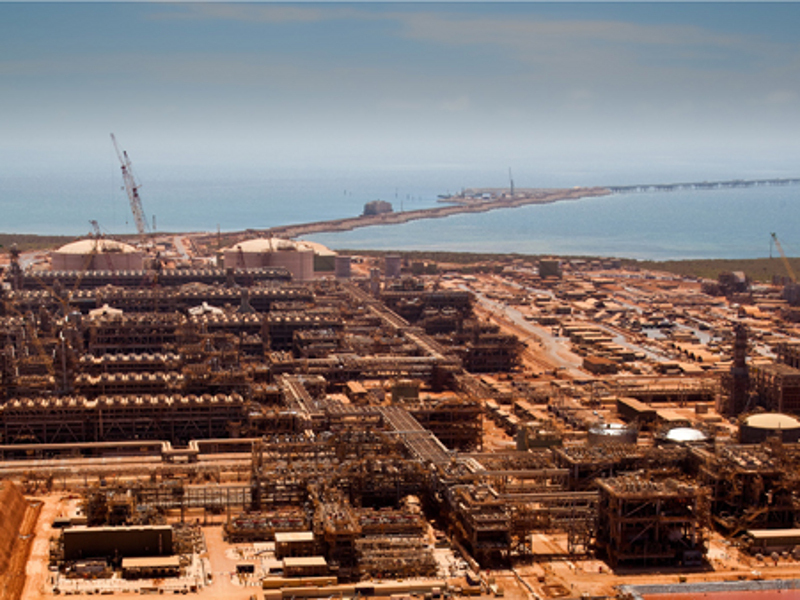 The 15.6mtpa Gorgon LNG facility is located at the Barrow Island, Western Australia. Image courtesy of Chevron. The LNG facility sources the natural gas from the Gorgon and Jansz-Io gas fields located within the Greater Gorgon area of Carnarvon Basin. Image courtesy of Chevron. Construction on the project formally began in December 2009 and was completed in March 2016. 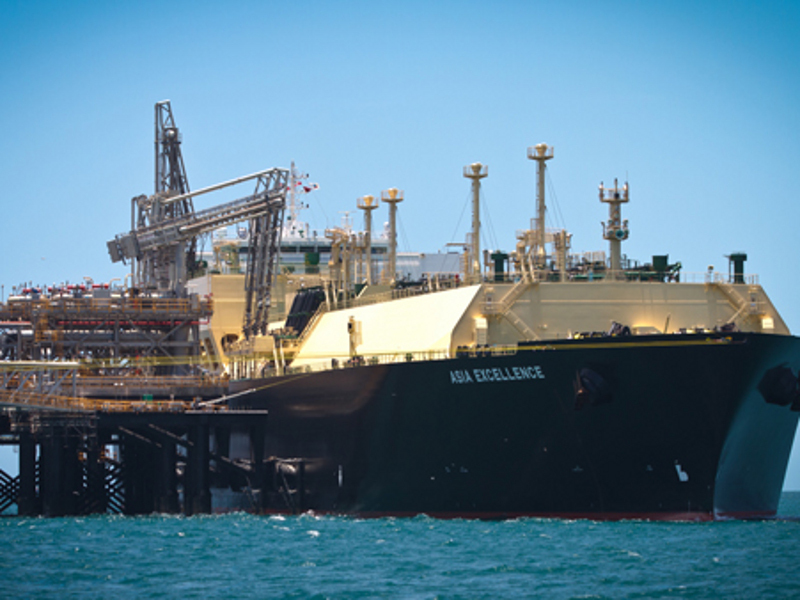 It is the fourth LNG export development in Australia. The LNG project is constructed on an undeveloped area of Barrow Island, which is located 31 miles northwest off the coast of WA. Preliminary environmental approvals for the project were received by the WA Government in September 2007 and the final approval was given in August 2009. The facility is currently undergoing a $5.1bn expansion, which will increase the domestic gas supply at the facility from 200 terajoules per day (Tj/d) to approximately 300Tj/d. The Gorgon gas field was discovered by West Australian Petroleum (WAPET) in 1980. Chevron Australia took over the operatorship for oil and gas exploration at the field in 1999. Western Australia Government granted approval for the expansion of the LNG facility in April 2009. The final investment agreement for the project was signed in September 2009 and the ground breaking for commencement of construction took place in December the same year. Chevron Australia signed a non-binding heads of agreement (HoA) with ENN LNG Trading Company in January 2016 for the delivery of LNG to China. Two trains at Gorgon LNG facility were commissioned in March 2016, while the third LNG train started LNG production in March 2017. Domestic gas supply from the plant started in December 2016. Chevron Australia, along with its joint venture partners, announced the expansion of the existing LNG facility in April 2018. The Gorgon LNG project is part of the wider project known as the Gorgon gas project, which involves development of the Gorgon and Jansz-Io gas fields located within the Greater Gorgon area in the Barrow sub-basin of the Carnarvon Basin. The Greater Gorgon is estimated to contain more than 40 trillion cubic feet of gas, making it one of the biggest gas reserves in Australia. The gas processing facilities built on Barrow Island include an LNG plant, condensate handling facilities, CO2 injection facilities and associated utilities. There is also a domestic gas plant capable of delivering up to 300TJ/d. The LNG plant comprises three LNG trains, with a capacity of 5.2 MTPA each. It is capable of 20,000 barrels per day of condensate and comprises a 275mmscf/d domestic gas plant, two LNG tanks with a capacity of 180,000m3 and four condensate tanks with the storage capacity of 38,000m3. Other facilities at the plant include nine CO2 injection facilities for reducing emissions, three CO2 compressor trains, 51 equipment based modules, three amine absorber towers weighing 1,100t each, 236 pre-assembled rack modules, five gas turbine generators with the capacity of 118MW each and ten LNG and condensate loading arms installed on 2.1km jetty. The subsea equipment for the LNG plant is connected by 195km subsea umbilicals that provide hydraulic and electrical power, optic communications and chemical supplies. In order to reduce the environmental impact on the island, all components of the train are pre-fabricated and assembled off site into transportable parts. LNG for domestic market is transported via a 44-mile sub-sea pipeline to the main land. The pipeline from Barrow Island is tied-in with the Dampier to Bunbury Natural Gas Pipeline (DBNGP). Carbon dioxide, which comprises roughly 15% of the raw gas stream, is extracted and injected in a supercritical state beneath the island at a depth of more than 2,000m. The expansion project aims to maintain the total natural gas supply of 15.6MTPA and a domestic gas supply of 275mmscf/d from the LNG facility. It will include the infill development of four Jansz-Io wells, seven Gorgon wells and other related facilities. The project will also include 13 subsea production trees, two eight-slot manifolds, 13 MS-700 SFX fatigue-resistant wellheads, 16 Sem2K subsea control systems, and specialty connectors and pipes systems. The Gorgon project was developed by a joint venture comprising Australian subsidiaries of Chevron, ExxonMobil and Royal Dutch Shell (Shell), as well a three Japanese companies; Osaka Gas, Tokyo Gas and Chubu Electric Power. Chevron Australia, with approximately a 47.3% share, is the operator of the project. Shell Development Australia and ExxonMobil Australia Resources own 25% interest each. Osaka Gas has 1.25% share, Tokyo Gas 1% and Chubu Electric Power has a 0.417% share in the project. 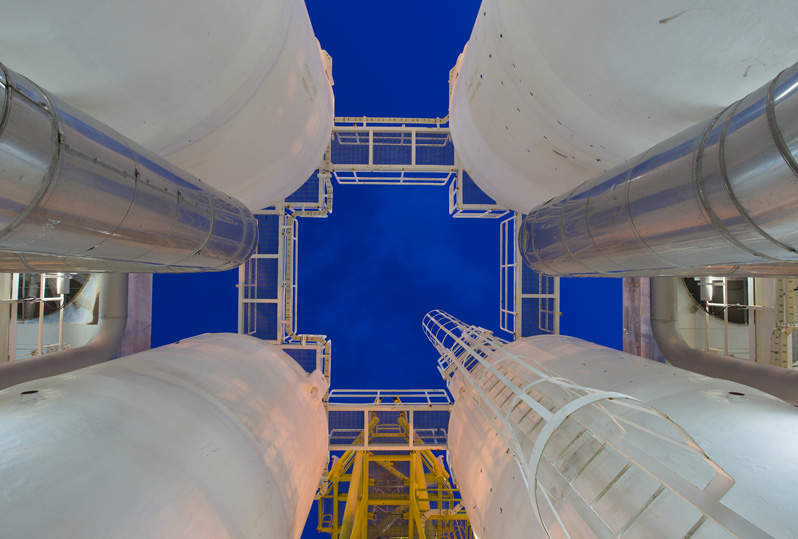 In September 2009, Chevron Australia awarded an estimated A$2.7bn engineering, procurement, and construction management (EPCM) contract to Kellogg Joint Venture Group (KJVG) for the LNG downstream and logistics portion of the project. The KBR-headed joint venture also includes JGC, Clough and Hatch companies. The joint venture was responsible for the execution and construction of the LNG facility. In July 2011, the CB&I Kentz joint venture (CB&I 65% and Kentz 35%) was awarded a contract worth A$2.2bn for mechanical, electrical and instrumentation work on Barrow Island. ABLE Instruments & Controls was contracted in July 2011 to supply flow metres to the LNG processing facility. In July 2011, Subsea 7 was awarded a contract worth A$427m for the transportation and installation of sub-sea umbilical and structures from Barrow Island to the Gorgon and Jansz-Io fields. The Gorgon and Jansz umbilicals, which are about 37 and 84 miles in length respectively, were shipped from Europe to Australia. These were installed from a vessel in water depths up to 1,350m. In October 2009, South Korea-based Hyundai Heavy Industries was awarded a $1bn contract by Chevron Australia to fabricate liquefaction train modules for the LNG project. McDermott was awarded a contract for mechanical, piping, electrical, instrumentation and commissioning of three LNG trains at the facility in 2009. Other contractors involved with phase one are Monadelphous, Howard Porter, Thiess, HLV Jumbo Jubilee, Leighton and Saipem, Leighton, CBI Contractors and Chinese Offshore Oil Engineering Company. Contractors involved in the offshore development of Gorgon phase one were Gorgon Upstream Joint Venture (GUJV), a joint venture of Wood Group and Technip Oceania, GE, McDermott, Aker Solutions, MacDermid Offshore Solutions and Allseas. Chevron Australia awarded the contract to TechnipFMC for project management and engineering, transportation, installation and pre-commissioning of umbilicals, flying leads and manifolds for phase two development in July 2018. A GE company named Baker Hughes was awarded two contracts, one for the supply of subsea production systems and another for providing well completion equipment for the expansion project under the master service order (MSO) signed with Chevron Australia in June 2018. Gas and condensate obtained from the Gorgon and Jansz-Io gas fields was first separated from each other. The condensate is then stabilised before shipping to the market. Gas is treated to get rid of CO2, hydrogen sulphide, mercury and water vapour. After this, the gas is liquefied by cooling it to -162°C and exported as LNG. The three major shareholders of the project already fixed several export sale agreements with customers in India, Japan, China and South Korea. Chevron Australia signed sale and purchase agreements (SPA) with Osaka Gas, Tokyo Gas, Chubu Electric Power, GS Caltex, Korea Gas Corporation, Nippon Oil Corporation and Kyushu Electric. These agreements range between 15 to 25 years. Shell will sell its share of gas to PetroChina International and BP Singapore, while Mobil Australia Resources signed long term SPAs with Petronet LNG of India and PetroChina International.